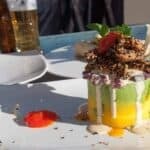 My favourite way to get to know a new place is through its food and what better way to learn about Lima than by taking a Lima food tour with a local. A Limeño. 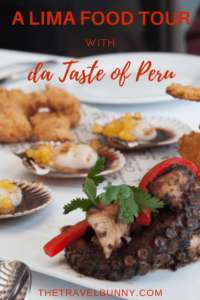 David grew up in Peru’s vibrant capital and introduced us to the city during an immersive gastro-cultural tour with Da Taste of Peru. 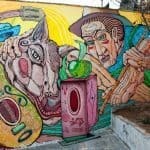 We experienced a fabulous fusion of Lima’s highlights, its quirks, its art, history, neighbourhoods and, of course, a full-on food fest in South America’s gastronomic capital. A smiling David met us on a Sunday morning with a private car and driver at our hotel, Belmond Miraflores Park. 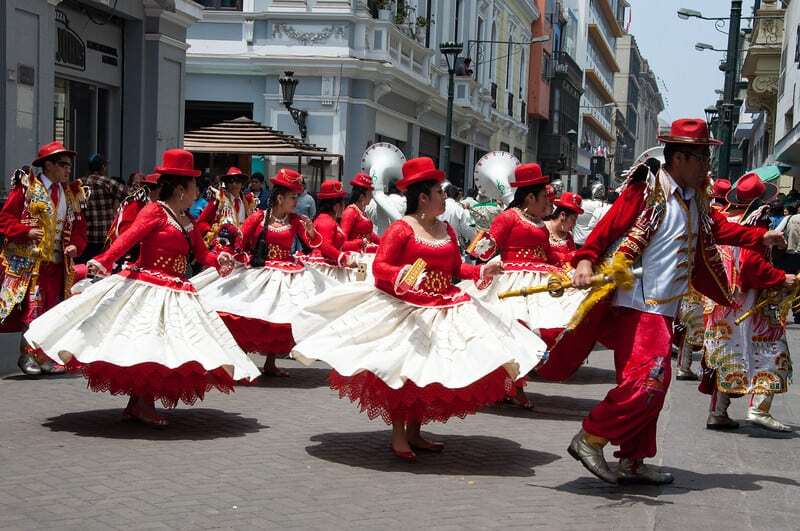 Lima’s a sprawling city and we’d never have got around everything on foot. 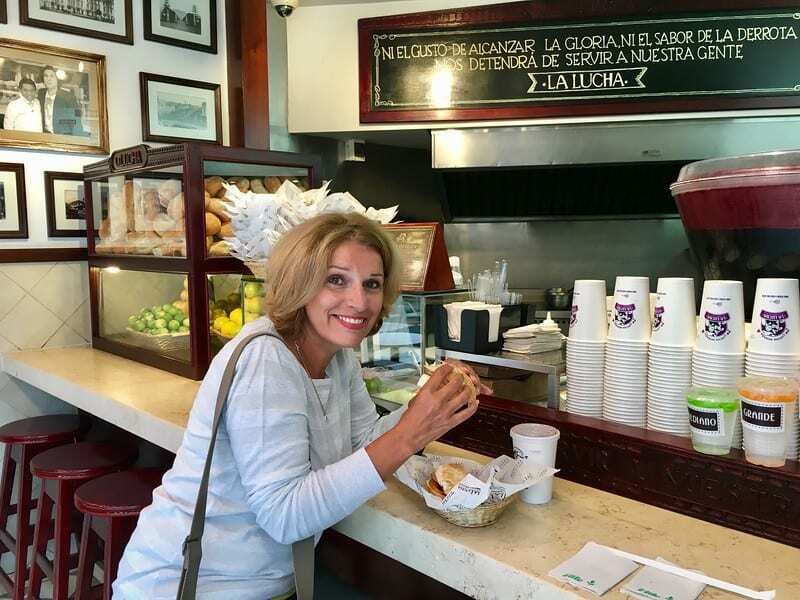 Our first stop was at Lima institution, La Lucha Sangucheria Criolla, near to Parqe Kennedy. Peru has a massive sandwich culture and La Lucha brings a gourmet touch to it. I’d skipped breakfast so got stuck into a classic ‘butifarra‘ of roast country pork and onion relish with a side of Chicha Morada. If you go to Peru you have got to try Chicha Morada. This luscious drink made from ckolli purple corn, which grows, in the Andes is the deepest ruby colour. It’s boiled with water, pineapple, apples, cinnamon, cloves and sugar. It’s how I’d imagine blackberry juice would taste and not in the slightest bit corny. 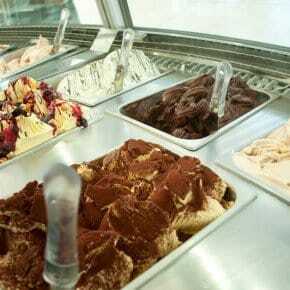 Delicious any time of day. Tip: If the queues at La Lucha are too long don’t give up hope. There’s a smaller sister shop just opposite where you can get your sarnie fix. Feeling nicely full and ready to take on Lima we set off for the Barranco district, stopping en-route, at the Love Park. Barranco sits high on a cliff overlooking the Pacific Ocean. 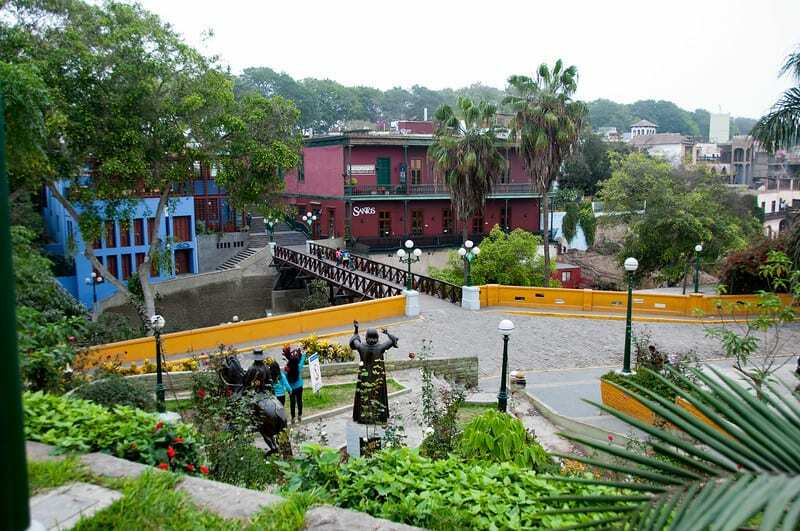 It’s the bohemian district of Lima which is evident from the colourful street murals and brightly painted colonial houses. We cross the Bridge of Sighs (Puente de Los Suspiros). The bridge was built in 1876, to cross the gorge and it’s the neighbourhood’s main landmark. Tradition tells that the first time you cross it you should hold your breath and make a wish. If you get to the other side without taking another breath your wish will come true. Can’t tell you what I wished for. Nearby is la Ermita Chapel. Legend has it that an illuminated cross appeared during a storm guiding local fishermen safely back to shore. The church was built on the site in 1750 to give thanks. Next we take a short walk to La Bodega Verde for a super food fix to keep our energy levels up. 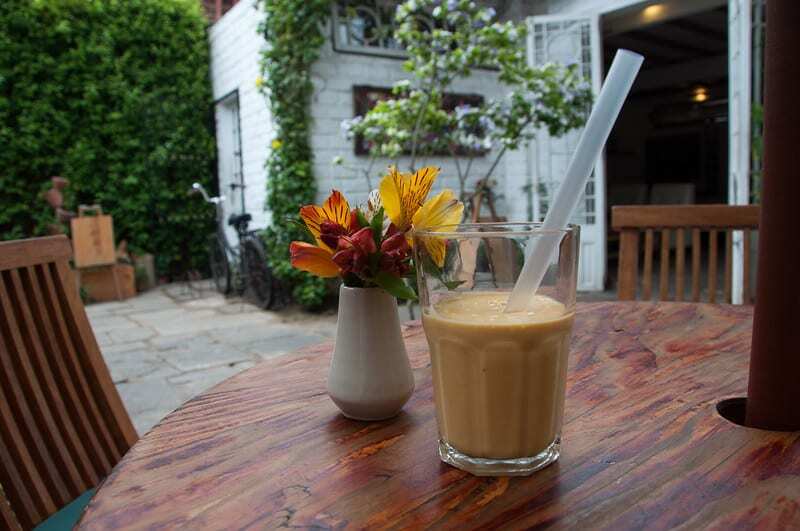 Sitting in the cafe’s walled courtyard we try a Lúcuma smoothie. Lúcuma is native to Peru and looks like a round avocado with a pale orange coloured flesh. It’s sweet and creamy with a hint of caramel. Delicious. TIP: If you take any kind of tour do it early on in your stay so you can re-visit and spend more time at places you want to see more of. Time for a coffee and we’re in luck because Peru is one of the world’s top coffee producers. 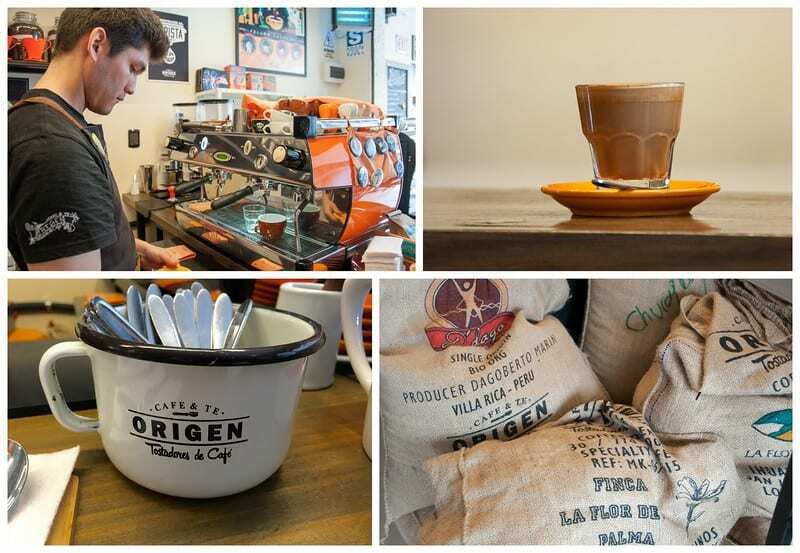 Origen Tostadores de Cafe sells delicious Peruvian organic coffee made by baristas devoted to their craft. We enter the shop and breathe in the aroma of freshly roasted coffee. Cajamarca, an Amazonian coffee, and one from Timbuyacu Farm are picked. As well as choosing the bean you can also chose the method used to brew your coffee. 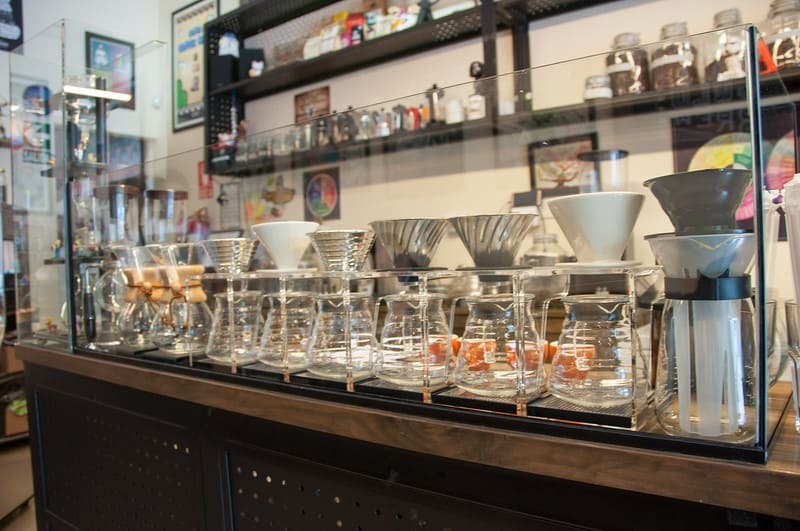 We had one cup of siphoned (the purest way) and the other was a pour-over. The coffee is amazing. The cafe is buzzing the whole time we are there and there’s a big Star Wars vibe going on – the force is strong with this little cafe. Definitely one of Lima’s hidden gems. 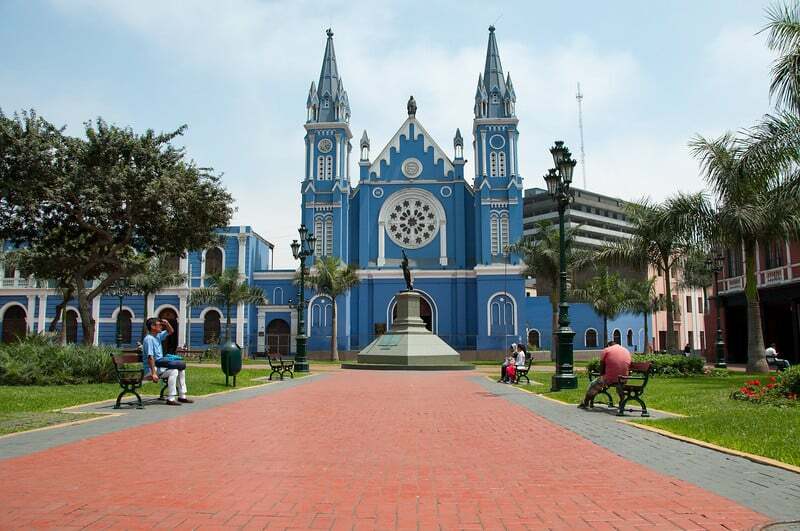 After our coffee fix we hop back in the car and head to Lima’s historical centre. En-route David tells us about his life growing up in Lima and how he’s worked in Cusco and would love to become a Sommelier one day. 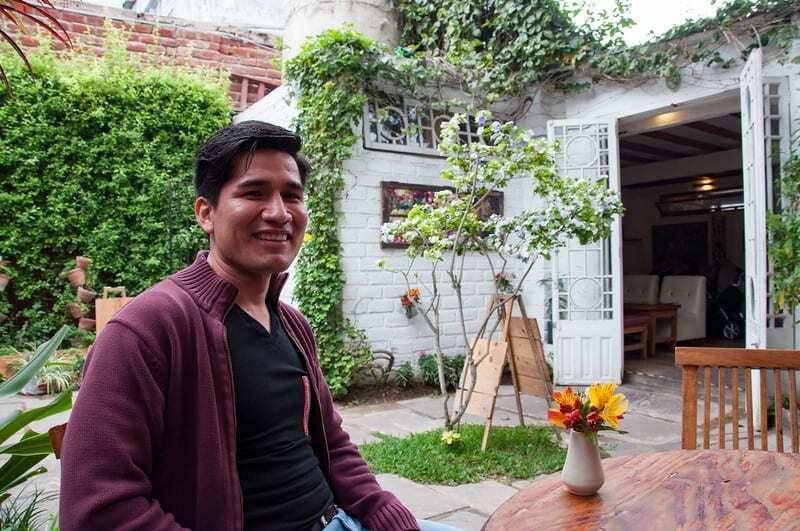 He’s passionate about food and drink and about sharing his love of Peruvian flavours with visitors to Lima. It’s time to stop eating for a bit and start sight-seeing. 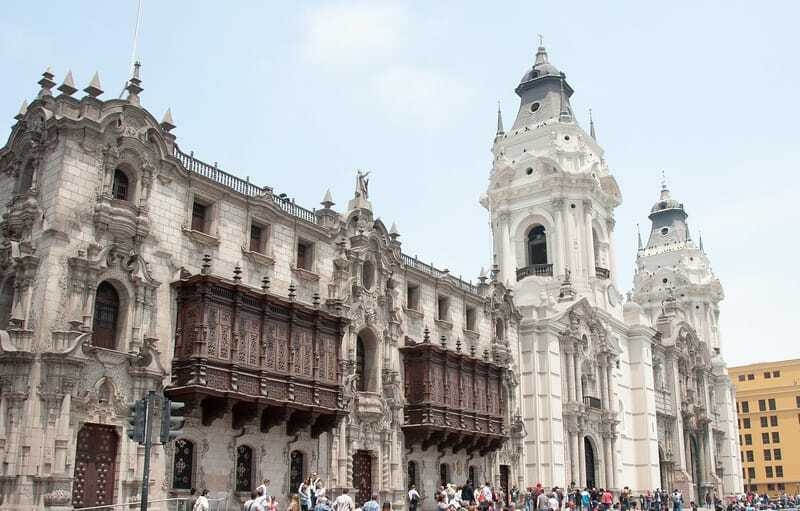 The architecture in Lima is eclectic with influences from the Spanish Conquistadors to northern European architects and Churrigueresque. 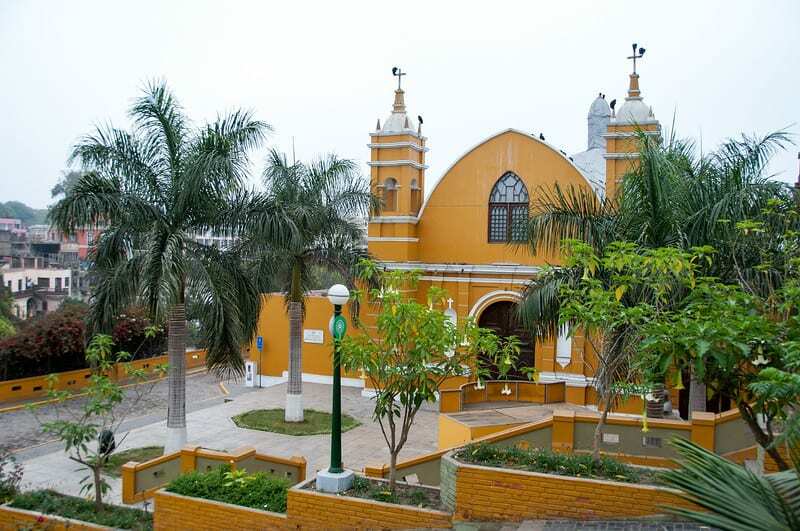 The Basilica of Nuestra Señora de la Merced below is an example of the latter. 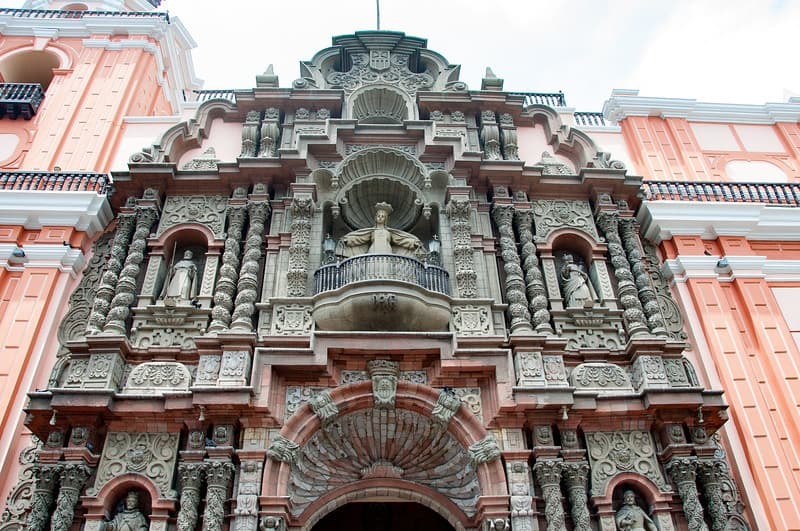 Churrigueresque is an elaborate style of architecture where every little space is filled with detail. This is one of the busiest facades that I’ve ever seen. 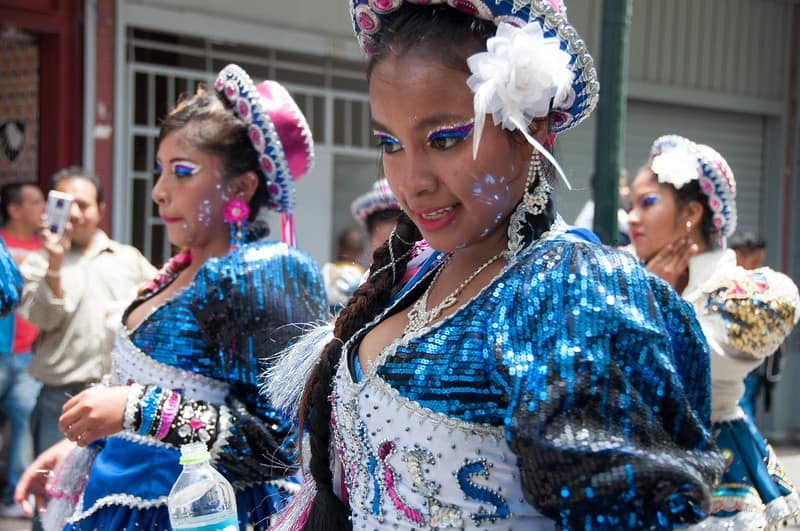 The carnival was gone as quickly as it arrived and we moved on to Lima’s main square. The Plaza da Armas. Lining the square on each side are impressive buildings with an air of colonial elegance. 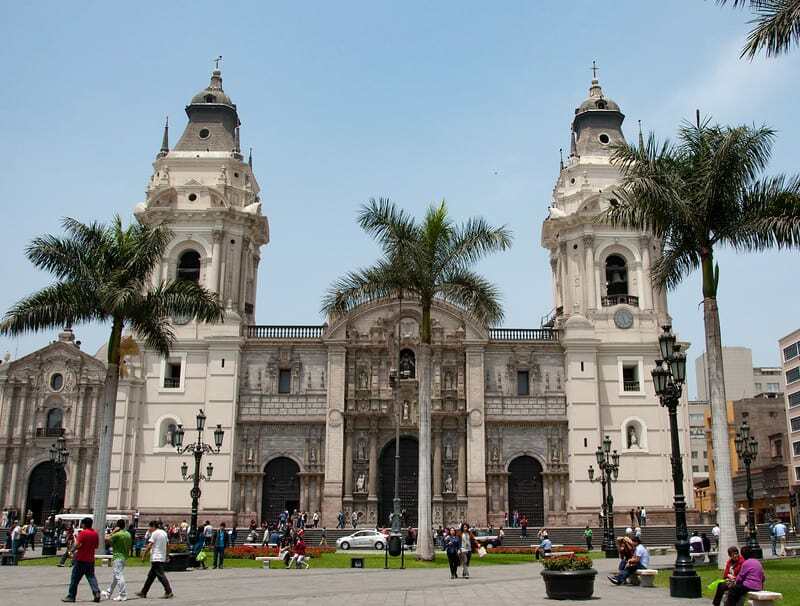 Lima Cathedral dominates one side of the square. 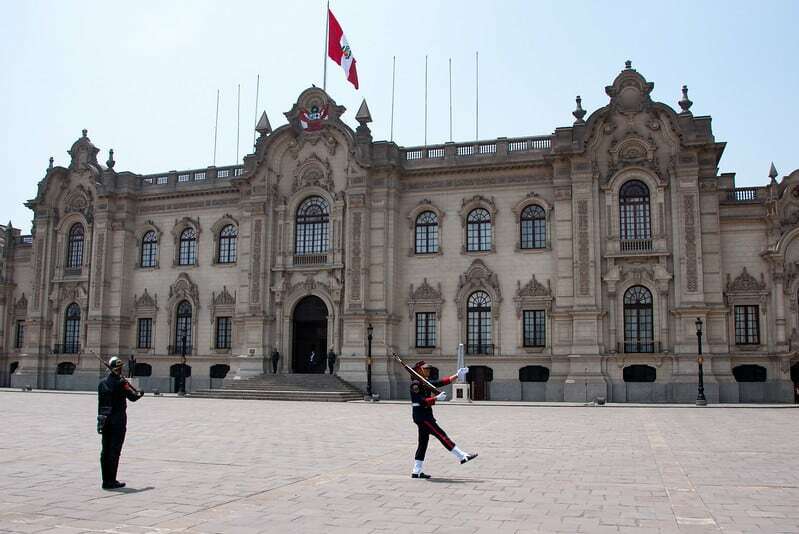 Palacio de Gobierno is home to Peru’s president and we were just in time to catch the changing of the guard. The Archbishop’s Palace is really eye-catching with its Moorish influenced wooden balconies. After our sojourn into the historical centre of Lima it’s time to get back on the food trail and we head to Cala for a late lunch. 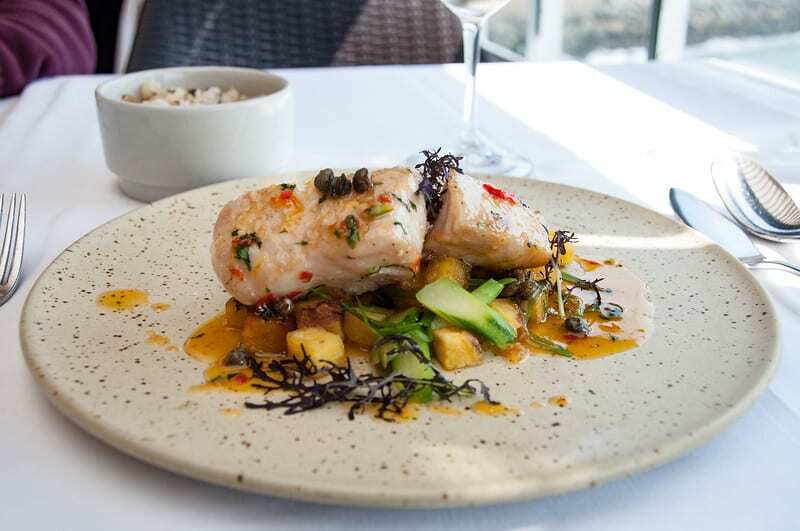 Cala has a contemporary edge and is one of Lima’s few beachside restaurants. Lunch is part of the tour and David’s booked a fabulous table overlooking the ocean. We sit in the sunshine and watch the Pacific rollers break onto the shore as we sip a Cumbres Quinua beer and peruse the menu. Understandably, fresh seafood figures highly on the menu and after an amuse bouche of seafood cocktail we decide on a seafood sharing platter for our starter. 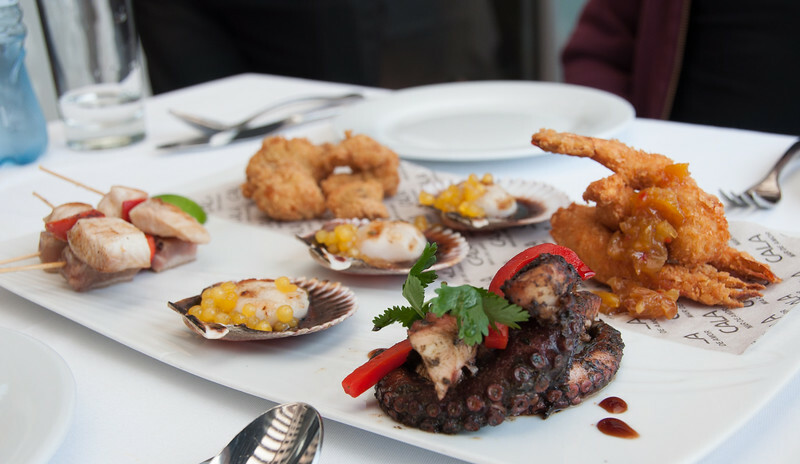 The Barranquito comes with rotisserie octopus, shrimps with mango chutney, nikkei scallops and tuna and salmon brochettes. The octopus is some of the best I’ve had; beautifully tender and full of flavour. 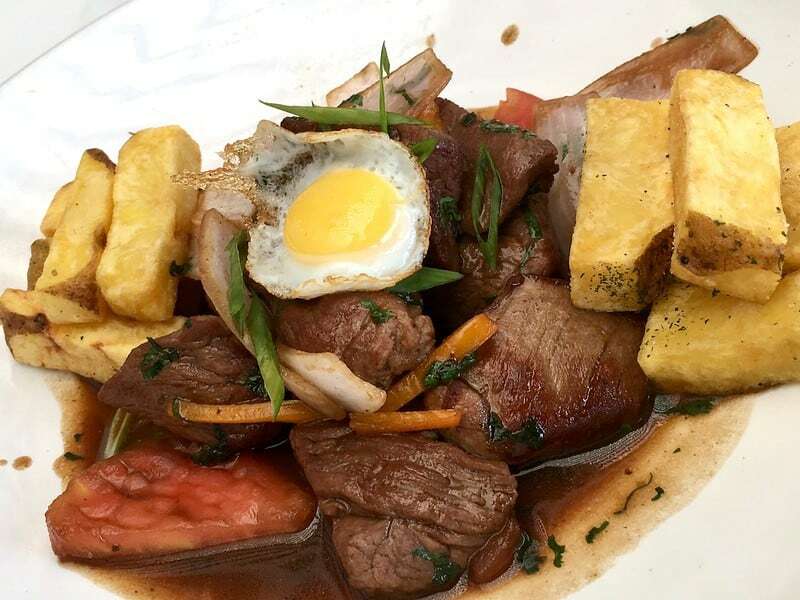 For the main course I go for Sea Bass and the boys both choose Lomo Saltado; stir-fried beef with tomato, onion, potato, quail egg, corn and rice. A bottle of Tacama, a crisp Peruvian white wine accompanies. Dessert was also offer but to be honest there just wasn’t any room for even the tiniest morsel more. Although it was time to go back to the hotel David knew I had a hankering to see the food market. He kindly arranged a detour so I could check it out – even though we’d already gone on much longer than we should have. It’s things like this that really make a difference – David puts so much care and effort into every tour and it shows. 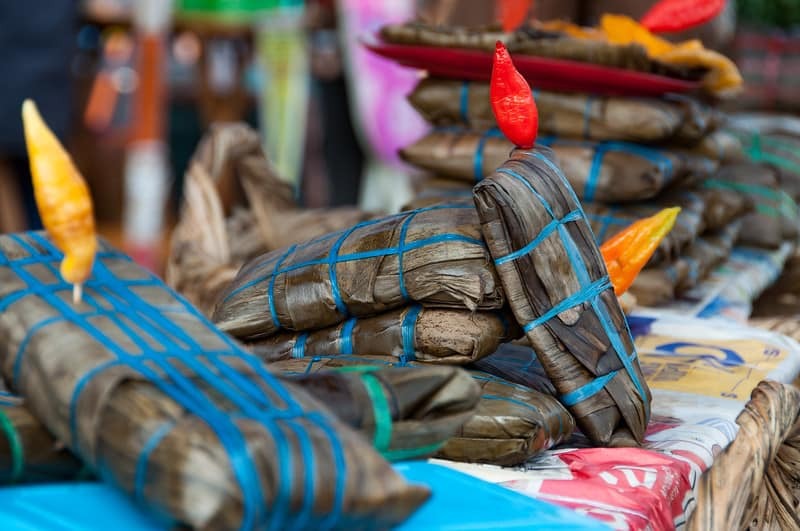 The tour offers a fascinating flavour of the city with forays into hidden gems and insights into Lima’s vibrant food scene. David is an engaging and instantly likeable host who really cares about his guests. He has a great sense of humour, speaks excellent English and is keen to share his passion for his beautiful country. Tours are tailored to individual tastes and interests – you just wouldn’t get this attention to detail with a large tour company. If you’re looking for a food inspired foray into the city of Lima the Da Taste of Peru is the tour for you. I love this post. 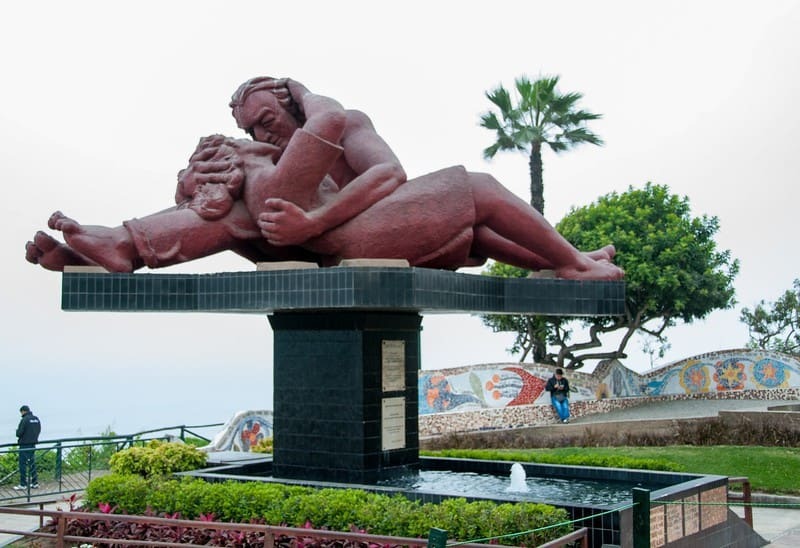 I am currently in Lima for a few days and although it might be too late for me to book the tour, your post has given me some ideas for my own activities. You should definitely book it if you can – I can highly recommend it and David is an amazing guide. Enjoy your trip! What a fantastic experience, and the lomo saltado sounds delicious. I love your shots of the carnival too. I’ve just written about a Peruvian restaurant called Lima in London! The carnival was such a surprise – we heard the music and they just came around the corner! I love Peruvian food – I’ll have to try Lima in London. Uni is good too, have you been there? Fascinating! Not a city I know much about and I’ve never seen black corn before (other than the burnt kind 🙂 ). This brings back such good memories of my time in Lima. You got to see a lot more than I did, so it was fun to explore the city through your story. I’m with you on Chicha Morada, too! I’m glad you discovered more of Lima through my post and yes Chicha Morada is delicious! I have only come to know of Peruvian food in the last couple of years Suzanne from some of the Peruvian restaurants that have opened up in London but I’ve loved every one I’ve tired so I know I’d have a fabulous time sampling the food out there if I went and I’m such a big fan of fresh fish and seafood as well as trying unusual hot drinks so love the sound of the Chicha morada and the actual tour itself! The food in Peru was so good and so varied. The tour was a fabulous way to combine the flavours of Peru with a taste of culture all in one day. Looks like a fabulous trip! Peru has long been on my list for the historical sites, food and culture. Looks like you captured it all! We did – all in one day and on one tour! An amazing start to our time in Lima! 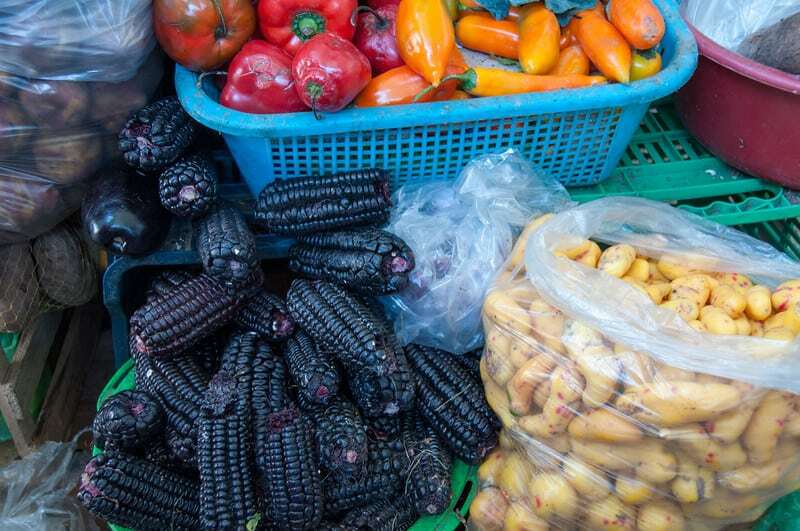 I didn’t stop in Lima (I’d decided to visit the lesser-known Peruvian north instead), but I do remember drinking chicha morada everywhere I went – I found it incredibly moreish and refreshing, and not too sweet. That black corn does take some getting used to, doesn’t it?! 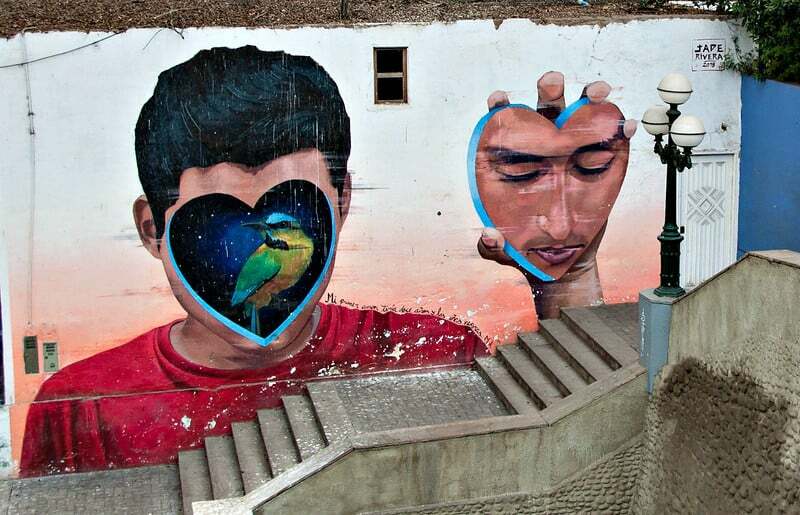 I’ve been hankering to return to Peru pretty much since I left, and I won’t miss Lima out next time, that’s for sure! It’s definitely worth spending a couple of days in Lima and seeing as most flights to other parts of the country go out of the city then it makes sense. 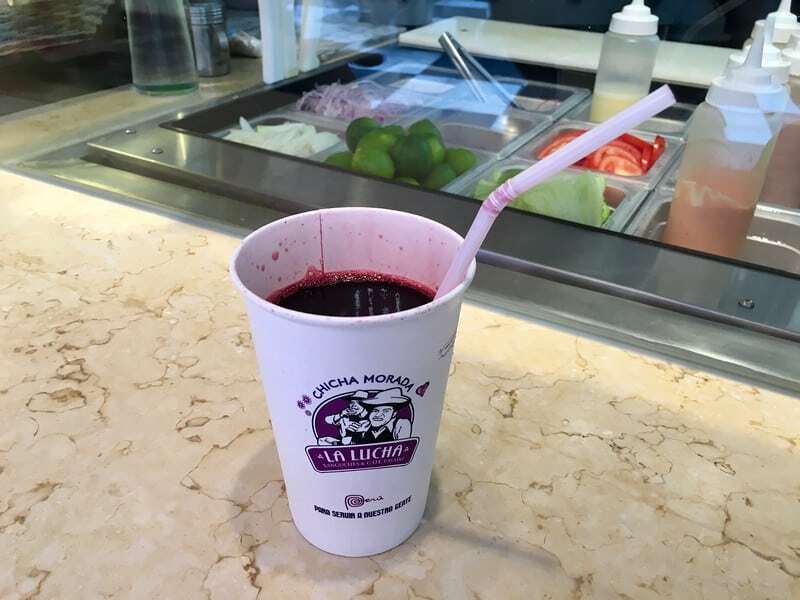 I loved the chicha morada – delicious! The chicha morada was delicious – wish we could get it in the UK. But then that holiday drink never tastes the same without the sunshine does it! We discovered so many new flavours on our Peru trip – I’ll be covering them in a foodie post coming up soon! 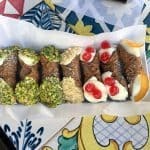 I’m a big fan of food tours! Especially in places like Peru when I don’t know a lot about the local food. Some tasty looking dishes though – Chicha Morada sounds bizarrely deliciously. The chicha morada was a delicious surprise! 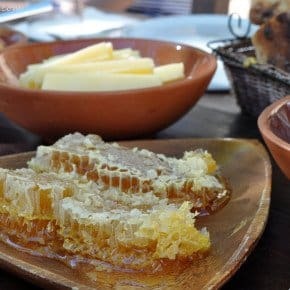 Food tours are such a great way to get to know a city – Lima looks amazing would love to visit one day! We got to know the city, the food and a really great Lima local – you’re right there’s no better way to get to know a city! We were totally full by the end of the tour – David knew all the best places to go! 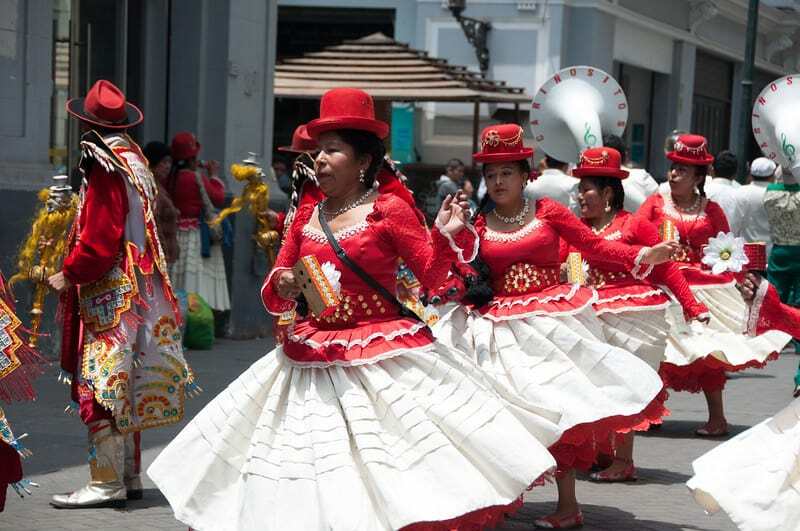 This sounds fabulous – a day getting acquainted with the food and drink of Lima with a side portion of architecture and a dash of carnival! What a great way to spend the day. And David sounds like the perfect host. It was a fascinating, fun and full of food kinda day!